The Atlas® APEX RJ7 air/hydraulic rolling jack has telescoping arms that can be extended over the runways of the four post lift. 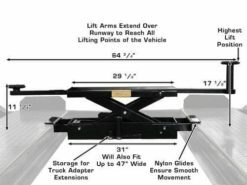 The lift pads at the end of these arms can be positioned under the LIFTING POINTS that are located over the runways of the four post lift. 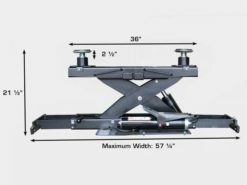 The Atlas® APEX RJ7 is equipped with expandable rail supports which adjust to fit many different four post above ground lifts. 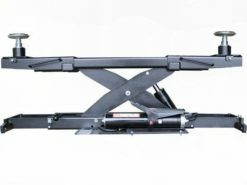 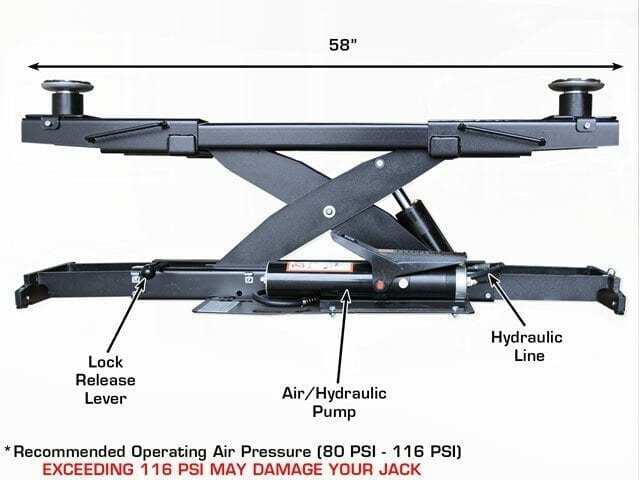 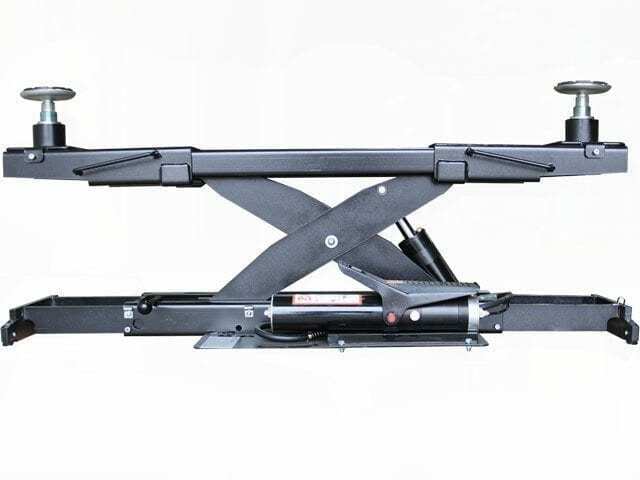 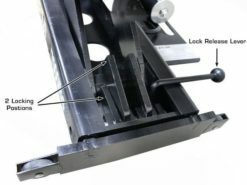 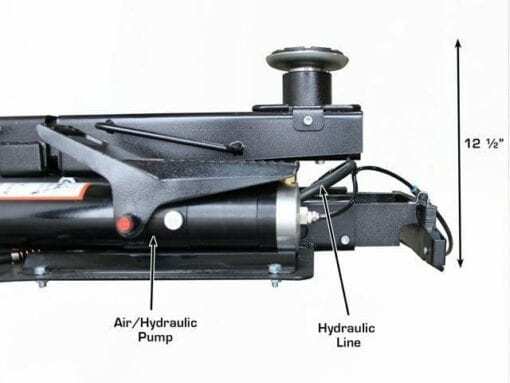 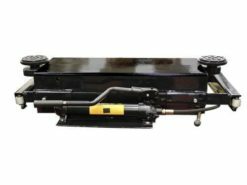 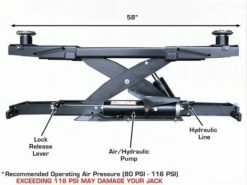 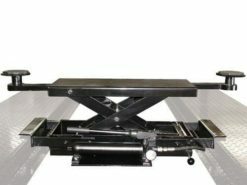 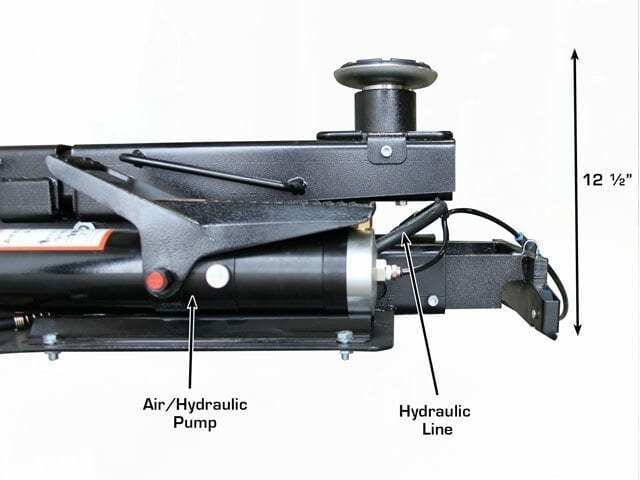 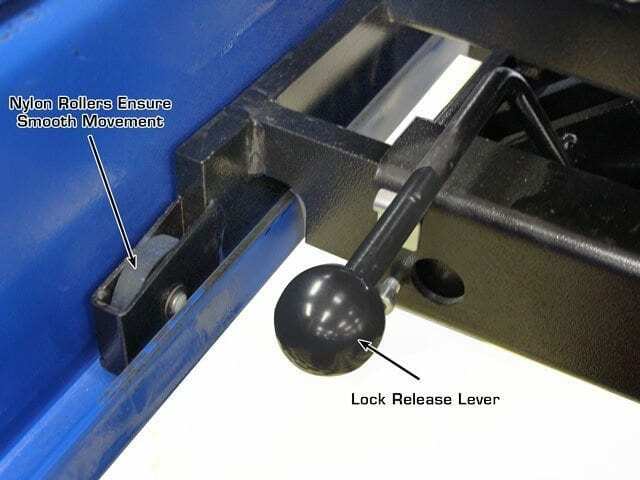 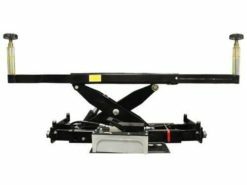 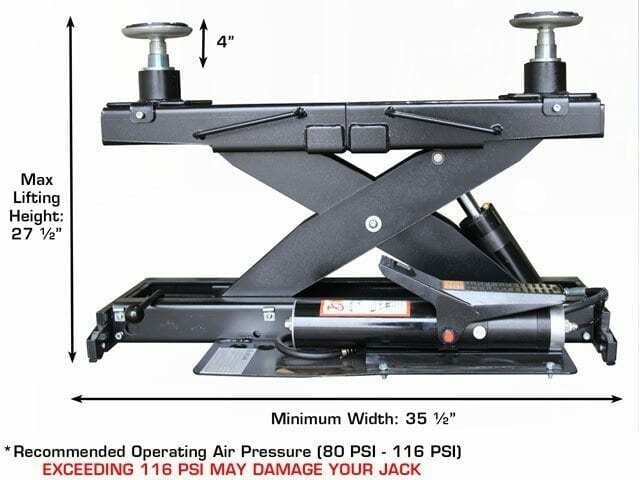 These supports have a unique roller system that allows the rolling hydraulic jack to glide easily under the entire length of the vehicle. 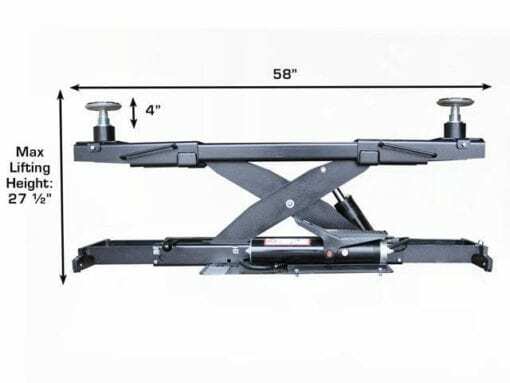 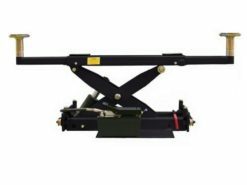 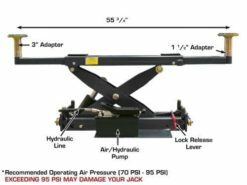 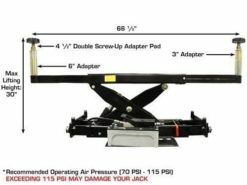 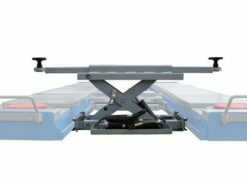 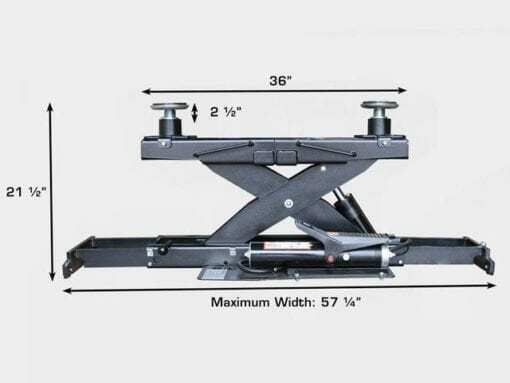 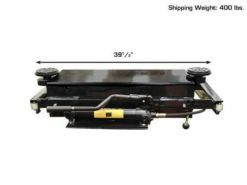 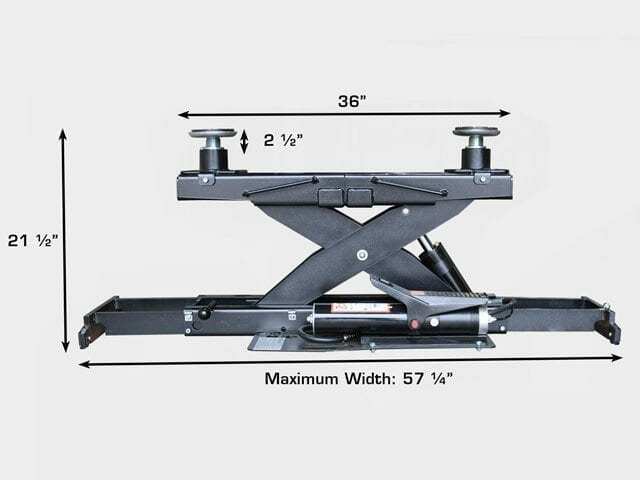 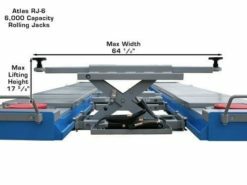 Distance Between Runway Capability 36" 57 1/4"
Minimum Lifting Height 12 1/2"
Maximum Lifting Height (With Both Adapters) 27 1/2"
Double Screw-up Adapter Pad 1 1/2" 4"